Not only for wine lovers is this region the perfect choice of a dream wedding location in Italy. With idyllic locations, romantic vineyards and landscapes just like a picture book, it is an absolute must for weddings in Northern Italy. 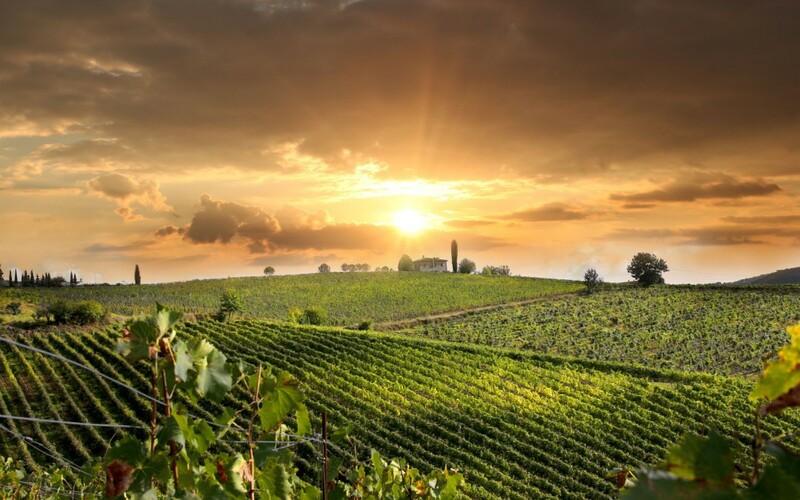 Whether the service is to be Catholic, Protestant, secular or civil – the vineyards of Valpolicella provide a stunning backdrop for any kind of dedication ceremony. What is more, it can be tailored for small intimate marriage parties or grand, large scale weddings. Those who opt for a wedding in Valpolicella are spoilt for choice between idyllic farmhouses with a rustic feel and noble Venetian Villas. A country wedding in a typical Italian setting may take place amidst beautiful dreamy scenes and a homely atmosphere which promises to captivate. The private mansions of the region, with their noble gardens, impressive facades and luxurious interiors are an ideal choice of venue. Whichever location you choose, the mixture of romantic vineyards, verdant plateaux and the rural idyll guarantees a wedding in truly unique surroundings. Wine buffs will find local vintners offering traditional wines such as Amarone della Valpolicella, Recioto della Valpolicella and Valpolicella Ripasso, which enjoy popularity all over the world. Most local wines are pleasant and light, they are normally drunk at a young age and have a slightly nutty flavor. These famous wines can be ideally complemented by the traditional Valpolicella cuisine. Because of the convenient location, North of Lake Verona and East of Lake Garda, this area has plenty of opportunities for fabulous day trips. With such a perfect framework already in place, these are great additions to your unforgettable wedding in Italy. If you are interested in getting married in Valpolicella, we can help to turn your dreams into reality.